The world's favorite cat and mouse TV show has an app for Windows 8! The app hampered by a lackluster design and limited feature set does do a good job of showcasing content first. The app performs fairly well. It took 8 seconds on my low end machine with a couple other apps opened to load up. 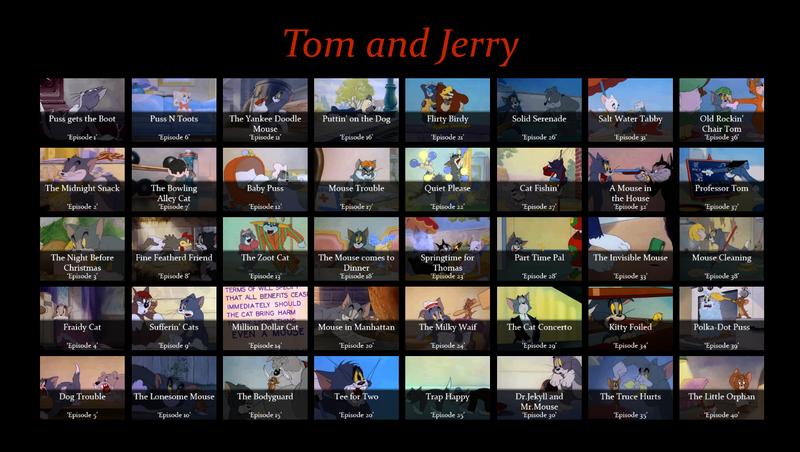 When you open the app you are greeted by a grid of 40 Tom and Jerry episodes. Design is a bit simple and really unimaginative. Just click on the arrow to go to the next grid of 40. In all there are 161 episodes that really aren't long about 6 minutes on average. Right clicking on an app gives you the option to pin to start. The video experience is less than stellar with buttons that make absolutely no sense at all. The app loaded videos in a few seconds and playback wasn't anything to write home about. Videos never stuttered and the quality wasn't bad (of course these videos were made before HD) plus the ability to pin individual videos was nice. What was a major knock in my opinion was the lack of sharing. I mean they could have added to ability to tweet, share, or blog what episode I was watching and attach their website. Just common marketing. The video experience was clouded by completely random buttons. Top right was a weight with a random number, bottom left was a clock with the wrong time, and then there was a Wi-Fi indicator and all of these do nothing when clicked. Weird? Not only that but the buttons were like bigger then needed. I know it is a touch enabled app but they were beyond the point of touch friendly unless you were a dinosaur or Sasquatch. This was the worst part of the app the design. I realize MDL (which this blog follows) a.k.a Microsoft Design Language does say put #contentfirst which +lloyd slichenmyer my fellow editor posted recently. The design does show you content immediately it is poorly designed. They could have a spotlight, highly rated, have information about the show, etc. There is great potential for a great blockbuster Tom and Jerry app but the design really hold it back. 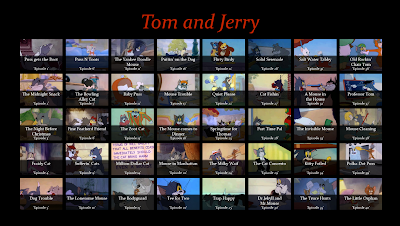 3/5 The app has potential to be an end all app for Tom and Jerry fans like me if it had a wealth of information, sharing options, a background, and a nice Metro design like All Recipes but it failed. Hopefully the app makers might improve in a later version.